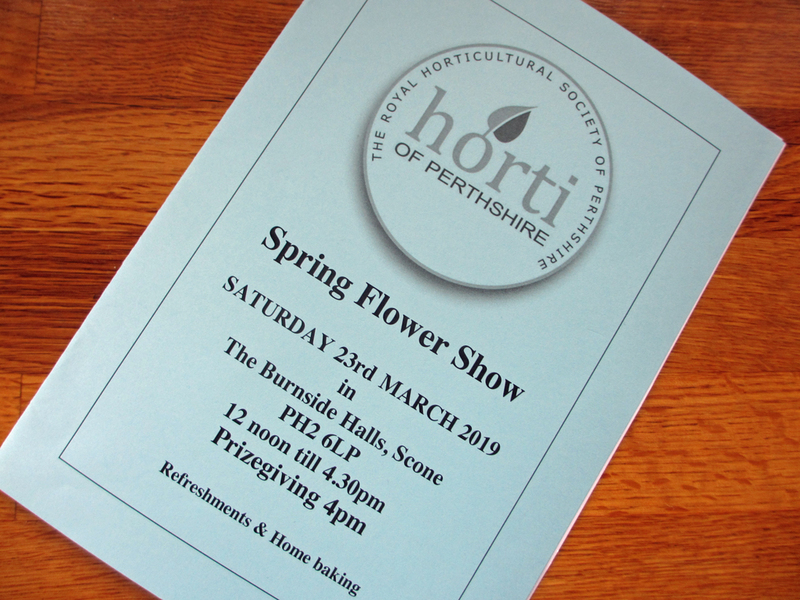 The Annual Spring Flower Show is just two days away and time to select those blooms you think may be at their best to exhibit. 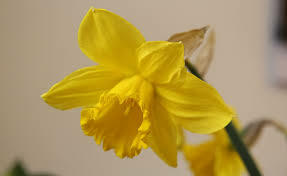 Your pots of spring daffodils should be nearing their best just now. Please bring them to the hall for staging on Friday evening between 5pm and 11pm. Be careful with them during the journey from home to the hall. Staking can hold floppy stems upright. Place thin stakes or twigs around the pot and bind them together with twine to hold the stems in place. If this is done with brown or green string then it is unobtrusive and more acceptable to the judge than distracting string colours. Someone will help you complete an entry form before placing them on the show bench. If all pots are displayed we should be able to give the judge a headache deciding which pot is best! As the weather has been so mild this year there is the possibility that there are prize blooms already flowering in gardens without any help from ourselves. Here are a few hints and tips to help you stage any cut flower or potted exhibits. If buds are still tight but dipping their heads then cut them, bring them indoors, and give them a drink of tepid water before placing them in a vase at room temperature . They do not need to be in the sunshine to have them opening for you. If there are other heads that look good now then cut and place in a cooler room or even in the dark and cool of a garage or shed for twenty four hours to hold them at perfection. The blooms themselves should be fully flowering, on a solid length of green stem ,uniform in the colour of the variety and have as few wrinkles on the petals as possible. Ideally one of the petals should be vertical and the others evenly spaced apart around the trumpet. Do name the variety if you can but if this is not known then mark it as ” Unknown ” on the exhibit entry card. It seems a lot to know but there are plenty of experienced exhibitors at the show who can help you stage your exhibit so do ask if you are uncertain . Remember we were all novices at one time!